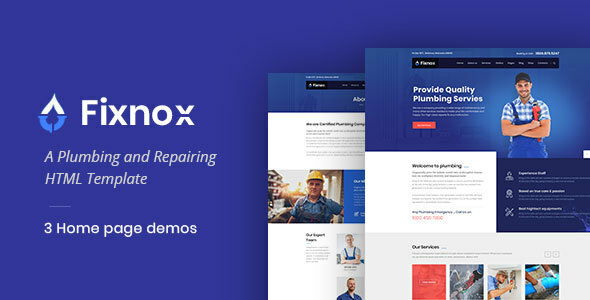 Fixnox – This Template developed specifically for all type of repairing and plumbing work. Fixnox is best suited for plumbing companies, Hvac companies, Individual plumbers and home repairing work etc. Fixnox template has beautiful and unique design that will be best suited for your online web presence. It has 100% responsive design and tested on all major handheld devices. Fixnox template comes with necessary features for your online presence like gallery, blog, testimonial, team and appointment page etc. Fixnox can be a great choice for your online presence.